New journal from re-introduced Sister Friends Collection. This line has modern sayings and bright pops of color making this collection truly in a class of it's own. These journals are compact in size and come in an attractive bound format with glossy lined pages. They are the best place to store your memories, bible study notes and bits of information that one comes across daily. These journals come with art work done by famous black artists. 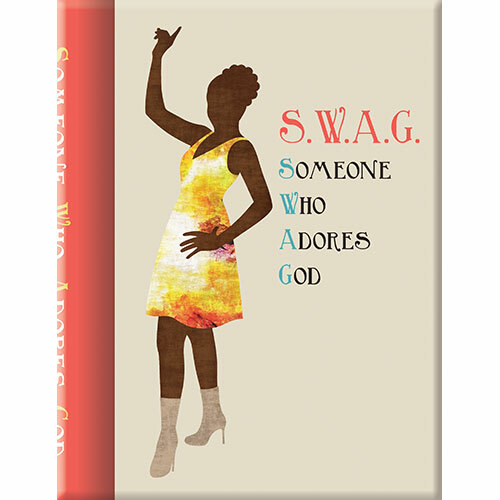 We carry both inspirational, sorority and catchy upbeat black art journals. African American Journals make perfect gifts befitting all occasions whether it be for birthdays, Mother’s Day, Christmas or just because. Journal Size: 6.25" x 8.5" and comes with 128 pages.